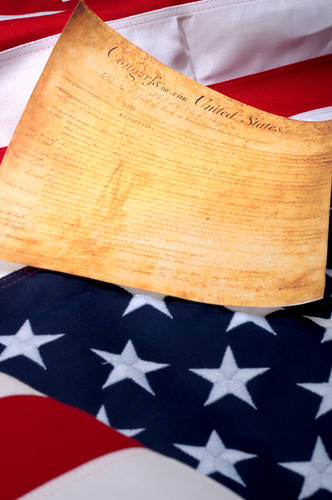 The First Amendment to the United States Constitution contains many of the fundamental rights guaranteed to every citizen and which are essential for self-governance. This amendment protects free speech, freedom of the press, freedom of religion, the right to peaceably assemble, and the right to petition government for redress of grievances. Also crucial to a government “by-the people and for the people,” is the ability for everyday citizens to learn about their government and what it is up to. Pritzker Levine LLP and its attorneys handle cases that concern our nation’s most fundamental rights under the First Amendment. Elizabeth Pritzker served as the founding Executive Director and Staff Attorney for the First Amendment Project, a non-profit public interest law firm representing individuals, journalists and smaller media in First Amendment-related litigation matters. She has a depth of experience prosecuting Freedom of Information Act and Public Records Act lawsuits and defending publishers, authors, individuals and not-for-profit organizations in a broad range of libel, slander, privacy, news gathering and related First Amendment litigation. Pritzker Levine has the resources, background and skill to provide efficient and cost-effective representation to clients on First Amendment-related matters. To learn how our First Amendment attorneys can help you, or to discuss a possible First Amendment claim, please contact Elizabeth Pritzker at ecp@pritzkerlevine.com or call 415-692-0772 for a free consultation. As Executive Director and Staff Counsel for the First Amendment Project, a nonprofit public interest law firm that she founded, Elizabeth Pritzker represented (as lead counsel) environmental association, Citizens for a Healthy Ukiah, in California Public Records Act enforcement lawsuit to obtain public disclosure of chemical content and associated health risks of manufacturing emissions by hardboard maker reported to air quality board pursuant to California Air Toxics “Hot Spots” Information and Assessment Act, over Masonite’s objections that its emissions data were trade secrets. Ms Pritzker served as a member of the legal team representing U.C. Santa Barbara student and Daily Nexus reporter, Tim Molloy, in lawsuit alleging that then-governor Pete Wilson and the University of California Board of Regents violated the Bagley-Keene Open Meeting Act by secretly locking up the votes of a majority of Regents through private phone conversations prior to public meeting at which the Regents voted to abolish affirmative action at the University. Ms. Pritzker co-represented Consumers Union, the independent nonprofit publisher of Consumer Reports, in a lawsuit filed by Sharper Image over reviews of the product maker’s Ionic Breeze Quadra air cleaner. Although the case was filed in federal district court, she and her legal team succeeded in having the suit dismissed under California’s anti-SLAPP law, which protects against lawsuits that chill constitutional rights, particularly the right to free speech, with fees and costs awarded to the client. While serving as Lead Staff Counsel at the First Amendment Project, Ms. Pritzker was part of the legal team that represented University of California graduate student, Daniel Bernstein, in federal court challenge to the constitutionality of the United States government’s use and application of federal export-control laws to restrict public dissemination of scientific studies involving cryptographic documents and software. The case was litigated in the federal district and appellate courts in California. The matter settled on confidential terms while the case was pending before the United States Supreme Court. Elizabeth Pritzker served as lead counsel for the Norbertine Fathers of St. Michael’s Abbey, a silent order of Norbertine priests, when the order was sued for “speaking out” “in a Letter to the Editor against the proposed development of the Portola Hill ridge line surrounding the Abbey. She succeeded in having the lawsuit against the Fathers dismissed under California’s anti-SLAPP law, with fees and costs awarded to the Abbey. Elizabeth Pritzker, founder of PRITZKER | LAW, represented employee of telecommunications company who was sued for reporting false telecom spectrum bids submitted to the Federal Communications Commission by her employer. The lawsuit was dismissed when Ms. Pritzker prevailed on a special motion to strike filed under California’s anti-SLAPP law, with fees and costs awarded to the client. Elizabeth Pritzker represented the daughter and heir of famed science fiction author, E. E. “Doc” Smith, when she was sued for writing a Letter to the Editor criticizing a comic book treatment of her father’s famous “Lensman” science fiction series. In the first use of California’s anti-SLAPP law in 1992, Ms. Pritzker (as Executive Director/Staff Counsel for he First Amendment Project, a non-profit public interest law firm) succeeded in having the lawsuit dismissed under the then-new law, with fees and costs awarded to her client by the Alameda County Superior Court.